copy homework file into adequate folder, depending on level, etc. This was a little long and created countless interruptions in my daily work, and of course took a lot of my time. 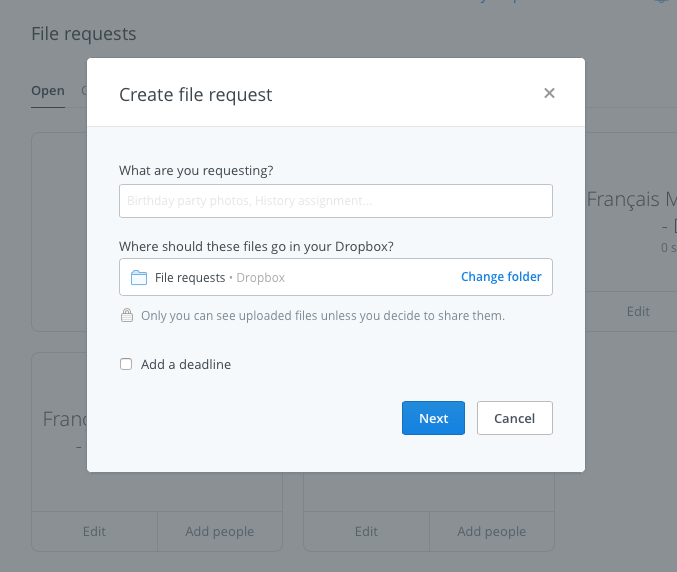 Luckily, DropBox (referring link) has recently introduced a feature called ‘file request’, which can be used to ease the process above. The idea is to have the homework going straight to the right folder in your DropBox, and by extension on your hard drive, without using email. This used to be possible with a third party DropBox plug-in called DropItToMe, but this wasn’t really working well enough in my opinion. Now, the official DropBox feature seems to do the job just right. 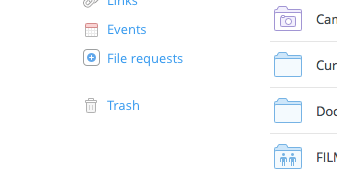 On your DropBox web account page, look out for the ‘File request’ feature on the left. Choose which folder you would like the homework to go to, what you would like to call it (e.g. Beginners’ French homework submission), and, as I am discovering as I type this, you can add a deadline. Handy. That’s, it, you’re all set up. Students will be able to submit their work using the link on the VLE, and the homework will simply appear on you hard drive, in the folder you chose (provided you are running the DropBox client on your computer, which I assume you are). The only downside so far, for me anyway, is that you still get a notification email every time someone submits work. This cannot be turned off. A workaround is to create an inbox rule in your webmail or client to filter or delete incoming notifications.